Is the Gluten Intolerance “Epidemic” as Bad as Claimed or a Clever Marketing Tool? Currently grains, especially wheat, are blamed for most of our digestive ills, which are rampant within a variety of autoimmune diseases, Crohn’s, IBS, and leaky gut syndromes that create other diseases. Now we have the gluten free rage, similar to the low or no fat crazes of the past. The commercial food industry “solutions” for the faulty lipid theory of obesity and heart disease, which is a “low-fat diet,” has probably created more cases of obesity and heart disease than what had previously existed. So how will this current gluten free fad pan out? 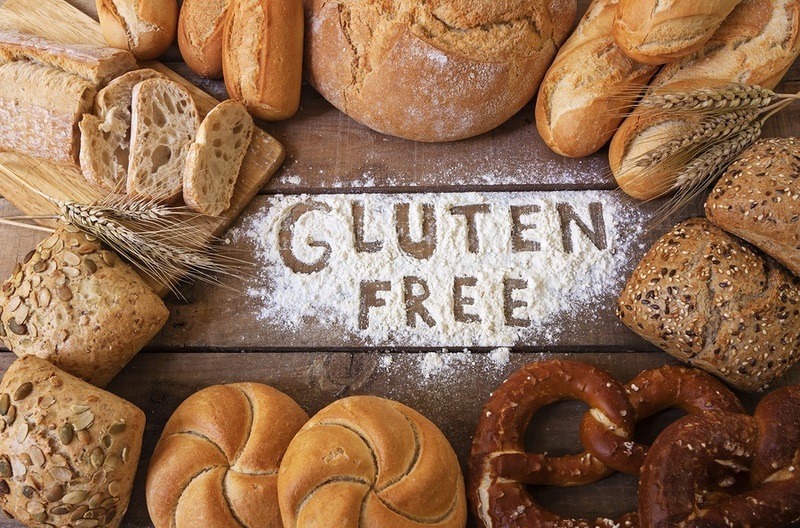 Gluten free labels have become such a food industry marketing tool that it’s put on foods and beverages that have nothing to do with wheat or grains. This marketing tool seems to be working for the food industry. But are the proclamations from recent books and the food industry marketing feeding into the anti-grain hysteria? A 2015 Italian study  demonstrated that most of those who think they are gluten sensitive actually are not. This was a two-year study of 392 patients who complained about gluten sensitivity because of digestive problems. 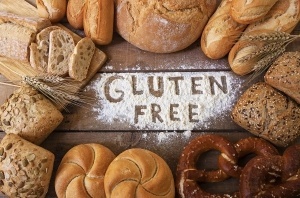 To determine actual non-celiac gluten sensitivity (NCGS), they were all put on gluten free diets for six months and followed by one month of a normal gluten diet to determine what affected their symptoms. Celiac disease (CD) was found in 26 of the 392 (6.63%) while two were determined wheat allergic (WA). Only 27 were diagnosed with NCGS (6.88%). The remaining 337 patients who insisted they were gluten sensitive (85.96%) did not experience any change of symptoms with a gluten-free diet. Europeans generally have better baked grain products available to them than we do in the USA. Our large scale commercial bread and pastry industry has created wheat and other grain concoctions that contain a plethora of contributions toward bad digestion and overall health. Back in the day, when bread was still considered the staff of life, bread that people ate actually supported good health. The wholesome content of “our daily bread” has dwindled greatly since the early 20th century with a slow and steady decline, which began with chemically bleaching flour. Even the quality of most wheat grass itself has deteriorated since the turn of the 20th century. It has been hybrid (not genetically engineered) through natural agricultural means to yield more gluten and support large scale commercial bread and pastry baking to provide soft mushy malleable sliced bread in larger quantities faster, easier, and cheaper. Gluten is Latin for glue. It is comprised of two proteins, gliadin and glutenin, which are inherent in all grains to varying degrees and proportions. Without gluten, creating breads would be impossible. Experts point out the gliadin/glutenin ratios indicate the potential digestive difficulties. Gluten is in all grains, not just wheat. The effort to provide cheap bread to the public has resulted in nutritionally vapid breads and pastries from inferior wheat with higher gluten protein ratios. Gluten may be the least problematic issue. Mass produced breads and pastries from grain to final product are processed with chemicals that not only inhibit nutrients, they poison us with added toxins. Artificial chemical bleaching is banned in some European countries, where so far nutritional food still has some value. Here in the USA, even many so-called whole grain breads have some chemically bleached white flour in them. In order to add shelf life and get that clean white color, wheat grains are crushed, destroying the bran and the germ, both containing most of the wheat or other grains’ nutrition and fiber. What remains is the endosperm layer, which is the starch without fiber. In order to make the flour dough easier to use by large scale commercial bakeries, they bromate the flour by adding potassium bromate . In addition to this bromide’s blocking or replacing iodine that your thyroid needs to fully function, it is carcinogenic. There are only a few store shelf breads that are not bromated. Some of those few may proudly display that on their packages. Bromating baked goods is banned in several other nations. Even before wheat or any other grain becomes flour, wheat and other non-organic factory farmed grains are treated with fungicides, pesticides, and insecticides during storage. That’s a bad start! An even worse start for commercial non-organic wheat is desiccation. Some wheat or oat grains in high latitude North American areas are harvested a tad early to avoid incoming winter damage from moisture. The grains are quickly desiccated (dried) by spraying them with Roundup, a powerful herbicide cocktail with the controversial and dangerous active ingredient glyphosate. The best way to avoid all this is to make your own breads with the right unprocessed and unadulterated organic grains. Most consider that impractical or beyond one’s ability. Toward the end of this article you’ll be able to access some relatively easy home baking recipes if you are up to the task. Fortunately there are options for us non-baking grocery shoppers too. Older traditional grains are still cultivated that contain better gliadin and glutenin ratios than modern hybrid wheat. Among those are traditional dark rye breads, spelt, kamut, and Einkorn wheat. Safe and nutritious sprouted grain breads are usually found in health food refrigerators or freezers because they don’t contain preservatives. Sprouting partially converts grains into vegetables, creating slightly less protein while enhancing other nutrients. Read the section under the heading “Is There a Place for the Sprouting of Grains” here . Real sourdough bread is another option that is rarely found on food store shelves. There are small artisan bakeries that make the real thing. Raising sourdough is a much slower process that uses a lactobacilli culture instead of baker’s yeast. While 24 hours of fermenting is considered minimum, some artisan bakeries ferment the dough longer.